Chang-Rae Lee’s dystopian science future novel On Such a Full Sea, reviewed. The denizens of a grim future tell us a story in Chang-Rae Lee’s On Such a Full Sea. In a present where the idea of any kind of distant future at all has begun to look like wishful thinking, the notion of a dystopian novel gives off a faint whiff of paradox. A fictional tomorrow in which there might be such things as characters, and plots by which they might be propelled forward, seems from where I’m standing like a relatively cheerful prospect. I’ll allow that my view of these things—that the arc of history is long, and that it bends toward oblivion—is inherently pessimistic, but I can’t help thinking that if there are enough humans around in two or three centuries to keep a dystopia up and running, then we won’t be doing too badly. Even the grimmest of imagined futures is, well, a future of some kind. So it wouldn’t be quite right to say that Chang-Rae Lee’s new novel, On Such a Full Sea, is set in a dystopian future America. The future America in which it’s set isn’t one in which you’d be too excited about your descendants living, but it would certainly be possible to imagine worse scenarios (as, in recent years, have the marquee-name likes of Margaret Atwood and Cormac McCarthy). Lee sets us down, without any immediate orientation, in a place called B-Mor, some unspecified, but presumably quite large, number of decades in the future. B-Mor is what is known as a “facility”—one of many former large urban centers that have been repurposed as techno-agrarian settlements. (Before the “natives” were resettled, B-Mor was, of course, Baltimore.) These facilities are peopled almost exclusively by laborers of Asian extraction, who farm fish and vegetables for the consumption of a class of privileged professionals inhabiting planned communities known as Charters. Between these facilities and the Charters is a vast rural no man’s land known as “the open counties.” Formally, in its style of narration and its futuristic setting, the novel is a fairly emphatic departure from Lee’s previous fiction, but there’s also some thematic continuity. 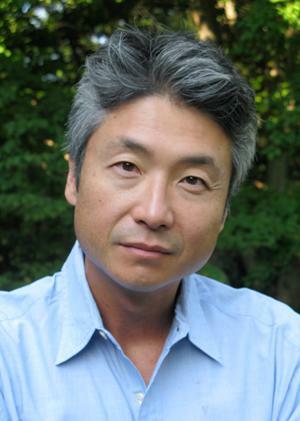 From Native Speaker, his impressive 1995 debut, through to his most recent novel The Surrendered, Lee’s work has drawn deeply from the Korean-American experience. 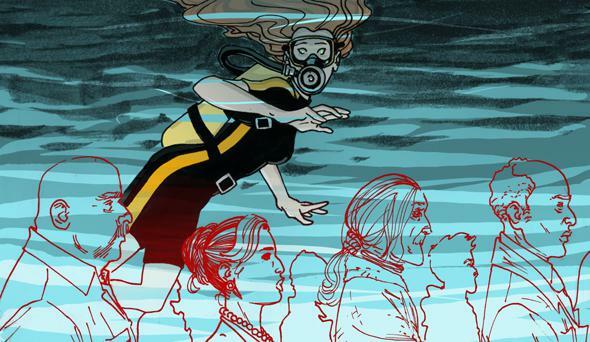 The “facilities” in On Such a Full Sea are immigrant communities, refracted through a speculative vision of deepening and widening class divisions. Beyond enigmatically glancing references to “the directorate,” Lee never gives us a clear picture of any specific political authority presiding over this social structure; it soon becomes apparent, though, that the world he has imagined is an extrapolation of the logic of forces already shaping this one—globalization, privatization, and corporatism. The most explicitly dystopian element of this fictional location is the fact that, due to some unspecified environmental cataclysm, everyone is afflicted with one or other form of “C-illness” (cancer, presumably, although the word is never used). Those in the Charters spend massive amounts of money on long-term C-treatment and radically circumscribed diets in order to extend their lifespans, whereas the laborers in the facilities just stoically accept that they’re all going to die at a comparatively young age. The sheer scale of class inequality—the depth of this radical structural injustice—is such that it seems more or less invisible to those living within it. Like cancer, it’s just a universal condition of existence. This imagined future, in other words, is arguably not all that unlike the present. In its speculative context, the novel is anxiously oriented toward unsettling social possibilities, but formally it is comfortably settled in a literary past. The setup is about as simple and old-fashioned as it gets; essentially, it’s a quest narrative. Our heroine, Fan, is one of B-Mor’s tank divers, charged with looking after the welfare of the fish and the running of the aquariums. When her boyfriend Reg—who, due to some stroke of genetic fortune, is unprecedentedly C-free—disappears, Fan leaves the “kind confines” of the facility and sets out in search of him. This most straightforward of premises leads efficiently into an episodic odyssey, the forward thrust of which paradoxically allows for an overall aimlessness of narrative. Fan is powerless in the world, subject to the whims of fate—of other characters, of her author—and so the novel is characterized by a strangely propulsive sort of plotlessness, that of one thing happening after another. The things that happen one after another, though, are sufficiently strange and intriguing to make the experience of reading about them an absorbing one—even if, in the end, that experience is too relentlessly driven by storyline to be satisfying. Soon after leaving B-Mor for the open counties, Fan gets knocked down by a former veterinarian named Quig, and winds up living for a time among the strange, cult-like rural commune of people he has cured of various injuries and ailments. Then, after a brief interlude with a family of mass-murdering carnival performers, she finds her way to a Charter, and into the home of Mr. Leo and Ms. Cathy, a sinisterly wealthy older couple who take her in as a live-in domestic. Whenever we tell the story of Fan, details are apt to change. You don’t mean to alter anything, in fact your intention is the very opposite, you want nothing more than to be an echo of the previous speaker, who, you decide, did a perfectly super job. And try as you might to match the very tone of the telling, the bellow of certain episodes and the half-breathed whisper of others, isn’t it the truth that despite your fealty to the story, a moment will arise that compels a freelancing, perhaps even rebellious, urge? […] We can’t help but add a little of our own special imprint, a tiny re-marking here, a slight miscoloration there, and sometimes even more than that if the feeling is intense enough. This narration has a stately allure, and its effect is often to place an opaque screen of estrangement between the reader and what would otherwise be more plainly visible as a high-class yarn. It’s a narration that raises all sorts of epistemological questions about itself, not least how this collective voice could know the things it claims to know about Fan and her experiences. Part of the issue here is that the “we” remains always indistinct; you know that—as with Faulkner’s early story “A Rose for Emily” and Jeffrey Eugenides’ The Virgin Suicides—it’s the community that speaks here, but there’s little sense of embodiment, of personality, behind that voice. In Eugenides’ book, for instance, whose strategy this novel clearly recalls, the first person plural narrative is, for all its airy composure, still emphatically and comically the voice of a bunch of guys who had the hots for the Lisbon girls. It’s often difficult to tell whether Lee’s use of this narrative approach is a cause or mitigation of Fan’s lack of distinctiveness. The tale unfolds in the distant and slightly glazed fashion of a fairy tale or myth cycle; and just as it is explicitly told in the voice of a particular migrant community, its protagonist is implicitly a representative figure of that community—repeatedly claimed, with a sort of anxious affection, as “our Fan.” But she recedes into that wash of elegiac narration, to the point where it becomes difficult to see her at all—where she becomes simply the subject of a series of events, the outline of a young woman being moved through a landscaped narrative terrain of hazard and deliverance. Because this is a story about captivity and freedom, Fan’s subordination to the partitioned mechanism of plot is a strange irony. She finds herself in several forms of confinement as her quest progresses; there is always someone by whom she is, in one sense or another, retained. Late in the novel, she is given shelter in the apartment of a young Charter doctor who has helped her escape from a previous captivity. She tells him that she will leave the following morning, and he says that she can do what she likes. “Nobody is your keeper,” he tells her. It seems an odd and poignant thing to say of a character who has recently been through so many captivities, so many forms of being kept, and who is, in the end, so firmly in the custody of narrative. But not so our Fan. She wasn’t a prophetic one, as we know, or always ever ready, nor was she chosen, at last, to lead anyone but herself. For at every turn, whether she bore a full satchel or one slim or nothing at all, she stood resolved, her boldness not one that simply pushed her forward but rather fixed her, solid, on the very spot she found herself […] Did this make her impervious? Heroic and wise? Not at all. She was as subject to chance and malice as the rest of us. She could only entertain hopes for the future. Her ability to just be where she is becomes her defining feature as a character. It’s difficult to avoid reading this metafictionally, as Lee’s way of turning Fan’s essential lightness to thematic account. This, after all, would be a thin conception of what a literary character is, or is for: a human figure in a series of locations, subject to chance and malice. And that, in the end, is the most unsettling aspect of Lee’s imagined future—the way in which he dramatizes it through the travails of a figure of such limited agency, and such little anger. (In this sense, the recent novel which On Such a Full Sea most insistently recalls is Kazuo Ishiguro’s masterpiece Never Let Me Go.) Fan is not fighting the system; she seems, in fact, scarcely aware that there is such a thing as a system to be fought. The world in which she exists is a pretty grim place, and her position within it—the very spot on which she finds herself—seems the result of very real and abiding injustice. (There’s a plot we never see here, in other words—a larger kind of plot in which the narrative takes place, and which seems to foreclose against heroic possibilities.) But her struggle, such as it is, is only tangentially concerned with that injustice; she’s really just trying to get her boyfriend back, to live a reasonable life in a world she had no hand in shaping and has little power to change. And so if Fan, our Fan, is a sort of emissary of the “we” that narrates, she is also slyly, glancingly, a reflection of the “we” that reads. On Such a Full Sea by Chang-Rae Lee. Riverhead.